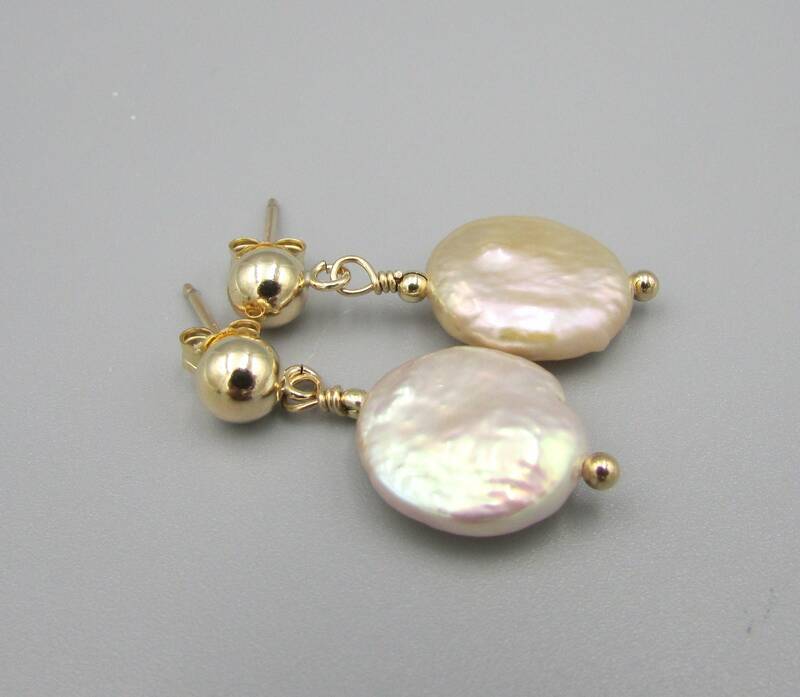 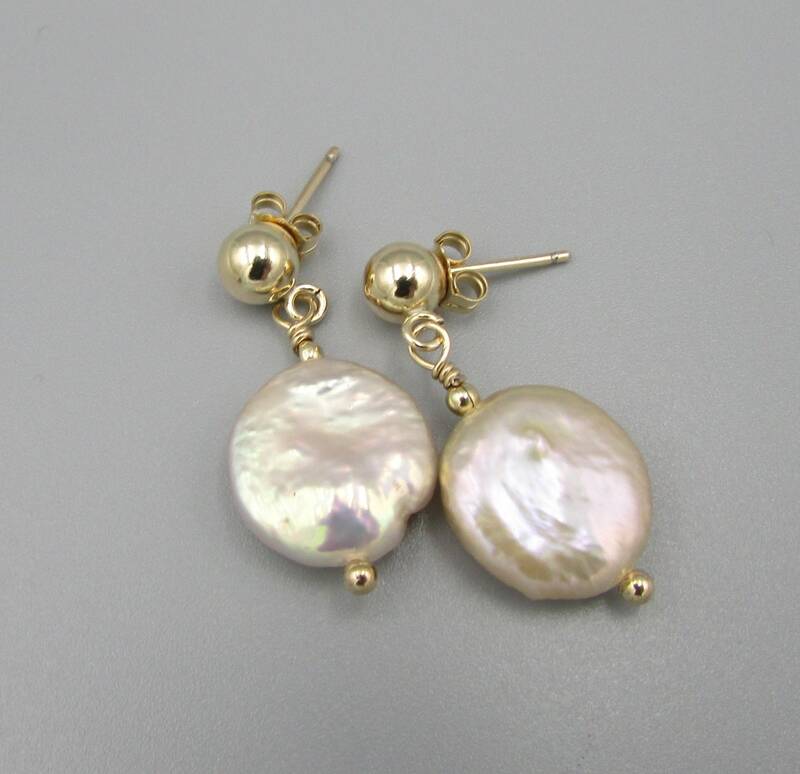 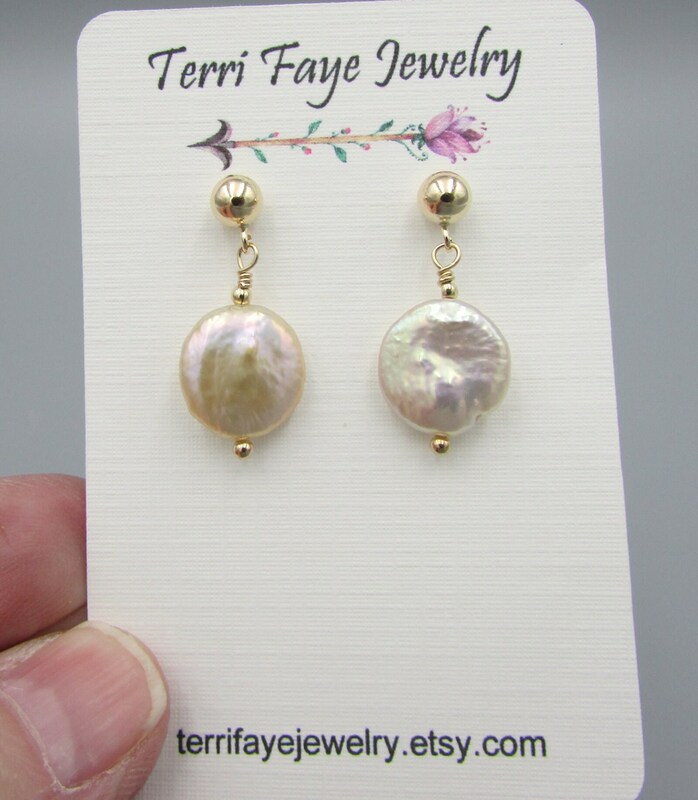 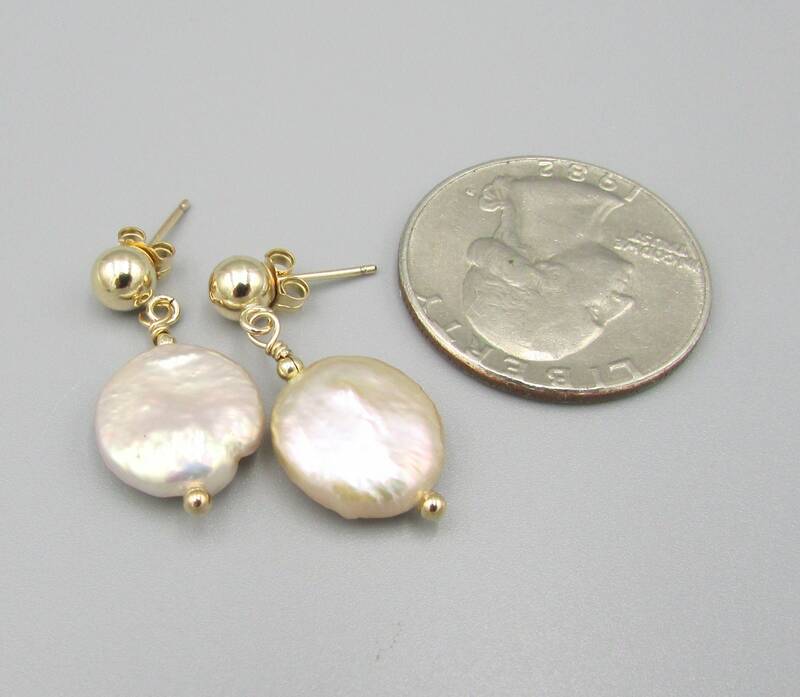 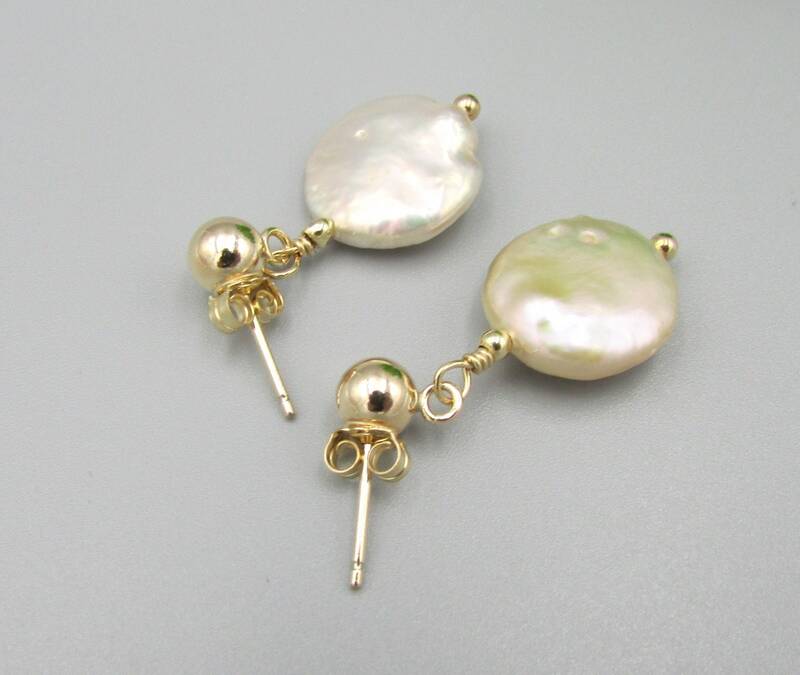 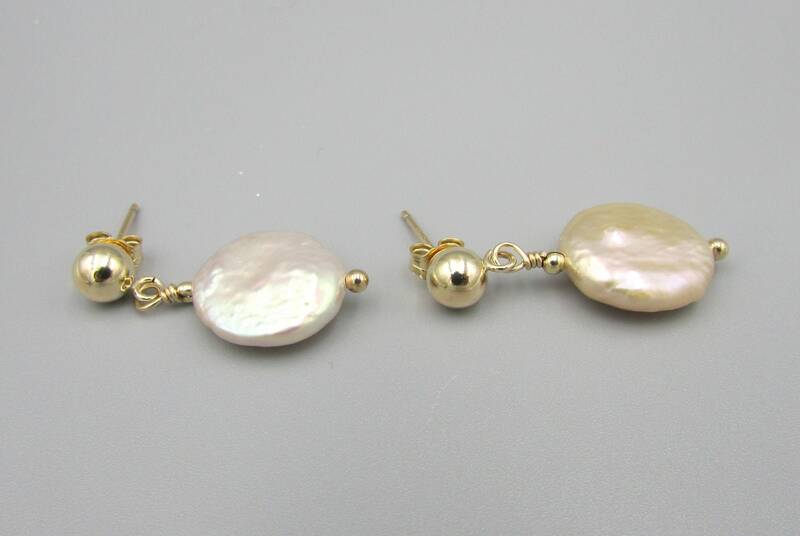 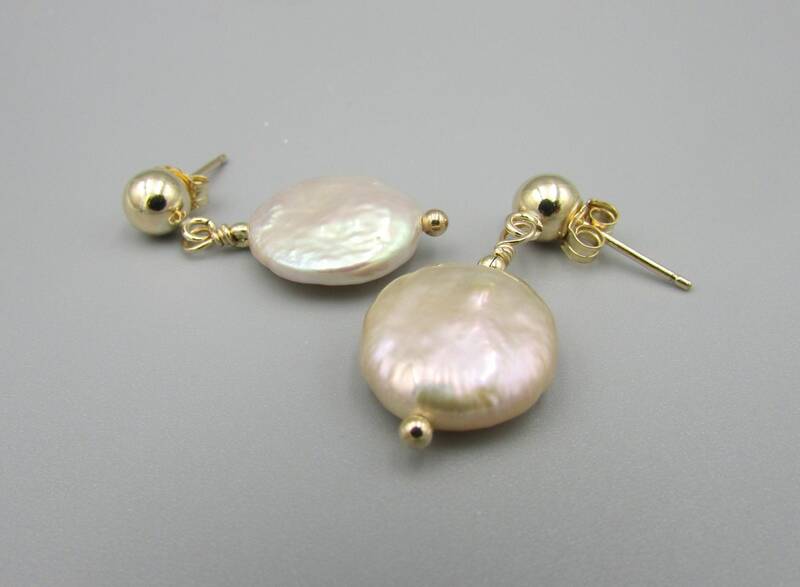 These beautiful pearl coin earrings are created with 14K gold filled studs and a 11mm round coin freshwater pearl. 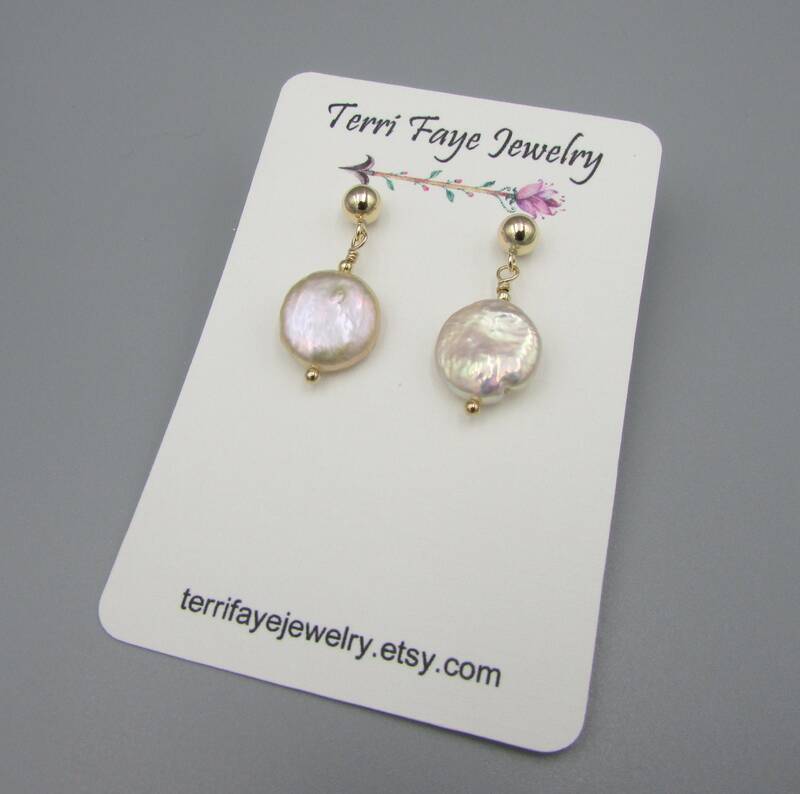 The natural colors is soft hues of light pink to bronzy pink in color. 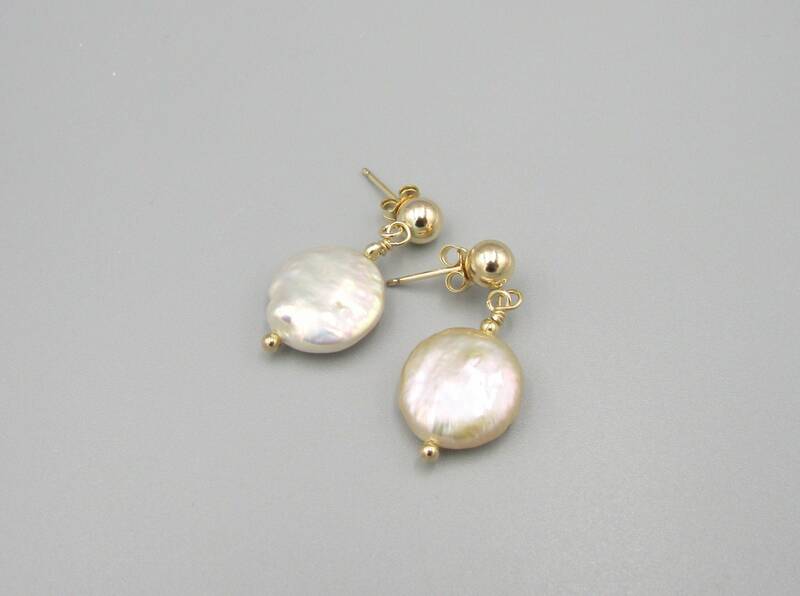 The Pearls have a stunning real luster and shine. 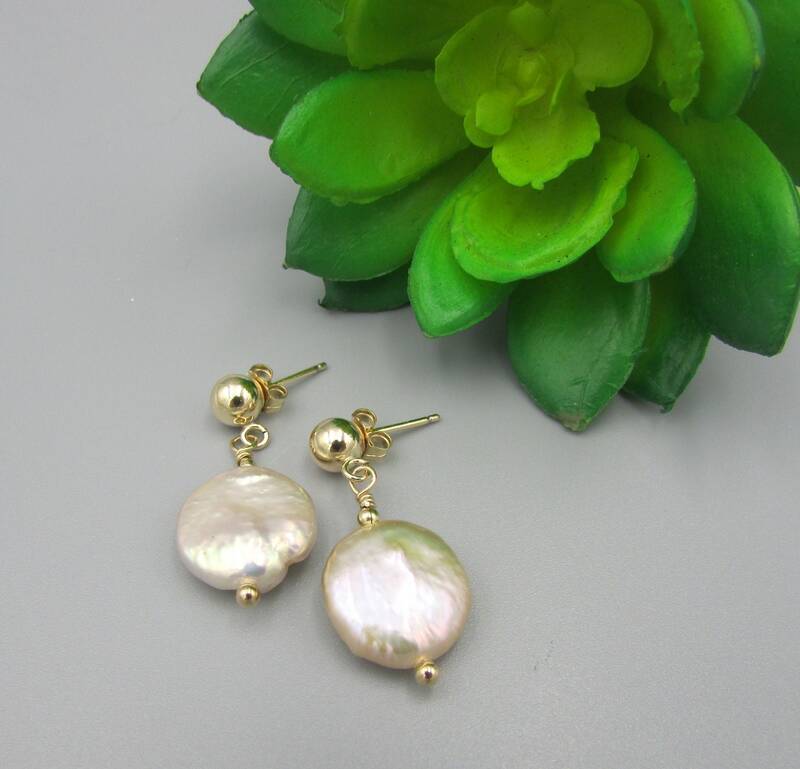 Perfect for everyday or for your wedding day.